Papa's Pizza , Accra is one of the biggest and most popular pizza restaurant in Ghana. They are located in Spintex, East Legon, Osu, Circle and their newly opened branch in Tema. They provide good customer service and their food delivery service is extremely efficient. Papa's Pizza East Legon and Osu are their most popular branches in Accra. 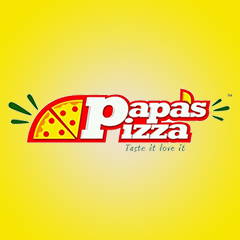 Papa's Pizza headquartered in East Legon, Accra (Papa's Pizza East Legon) is a pizza company which is fully Ghanaian-owned and over the years has grown to be a preferred pizza place in Ghana. They make their own dough fresh each day, mix cheeses to get the best taste with the freshest toppings. Customers: They value their customers very much, customers are the reason why they go the extra mile to deliver the best quality pizza more on time and with a smile. People: They focus on the welfare and development of their people who are the drivers of their success. FUN: They use innovations to create fun at work and also share the fun with their customers.